I'm glad to see the last of March. It was not one of my best months. My skin protested against my decision to go on a trekking trip, and I'm now dealing with all sorts of allergic rashes from random forests. Before the April fun begins - it is my birthday month - here are the beauty products I used up in March 2017. 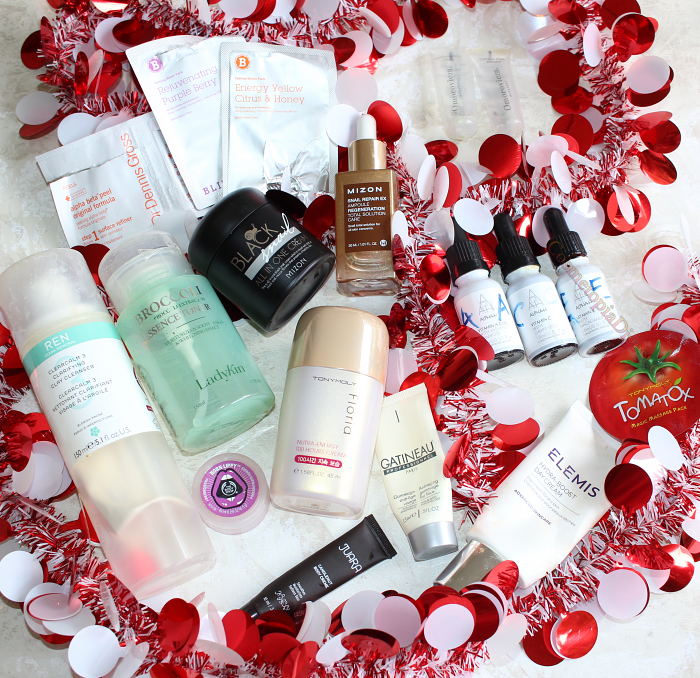 The winner of last month's empties. I bought an eight-tube set; each tube was supposed to be good for "up to three uses". I got six uses out of mine! I still have six tubes left. What is it? A quick peptide peel - you apply a layer of the copper peptide paste, and then massage in the lactic acid activator until the entire thing turns frothy. Rinse off to reveal fresh, glowing skin. No tingle, no flakes. Definitely worth the splurge. 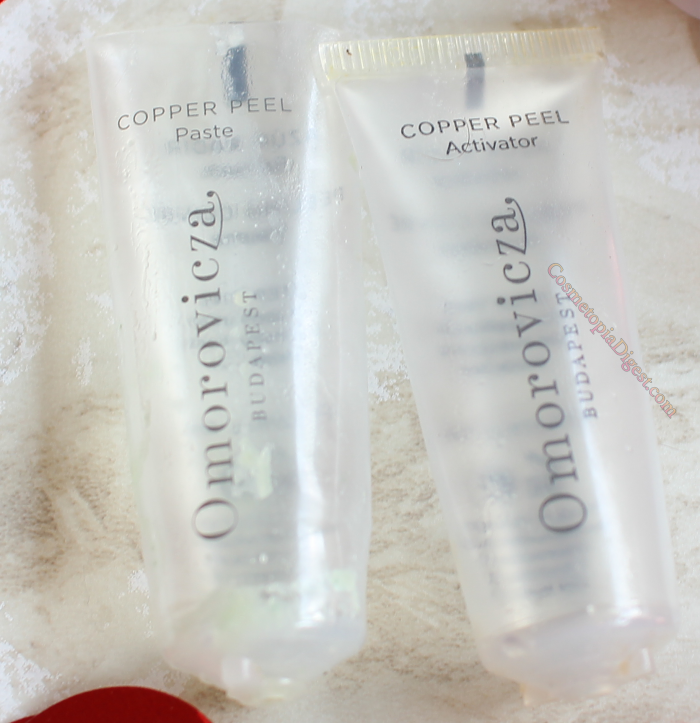 I ADORE Omorovicza so much! Repurchase? I have three sets of tubes left, but will repurchase once I run out. I already have a full-sized version of this. It is a "home facial" pack - you massage in a layer of this cream on the face, relax for 10 minutes or so, and then rinse off the cream. It does not dry on the skin, and there is a mild tingle. 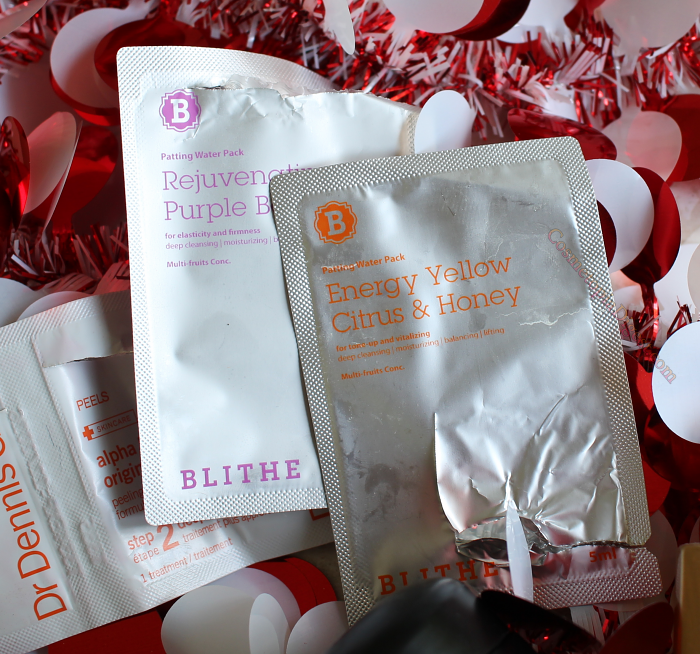 The cream reduces redness, and gives you clearer, smoother skin. Repurchase? Already have a pot. These "gommages" are exfoliants that you massage into the skin; and then, dead skin pills up. I don't know about you, but I find this pilling up completely gross. I used this as a foot scrub; it still grossed me out. 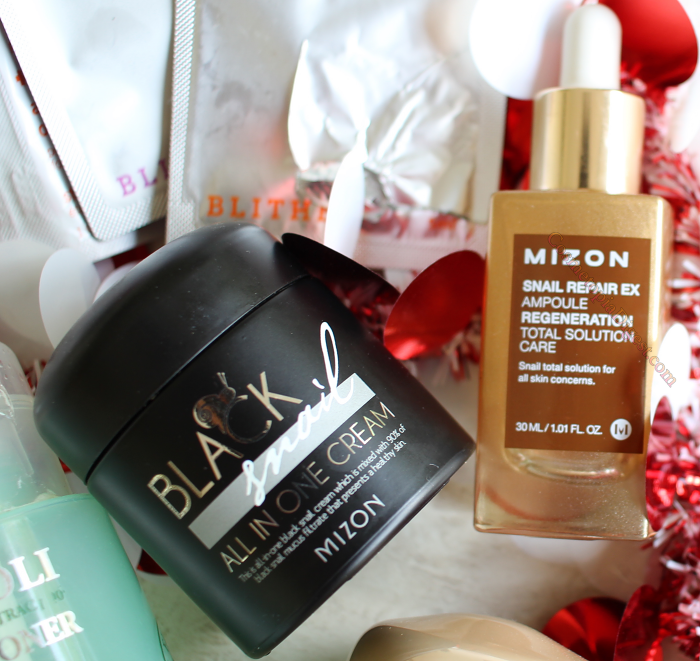 There are several such products in K-beauty. All gross. Nice when I wasn't wearing makeup. Very hydrating; sealed in moisture and kept my face well-protected. Sadly, didn't do too well beneath makeup. I'm abnormally oily. Repurchase? A good choice for no-makeup days. Let's see once I run out of my stash. I had to write which bottle contained which vitamin, because I ended up applying A in the morning once, when in a hurry. These are excellent. 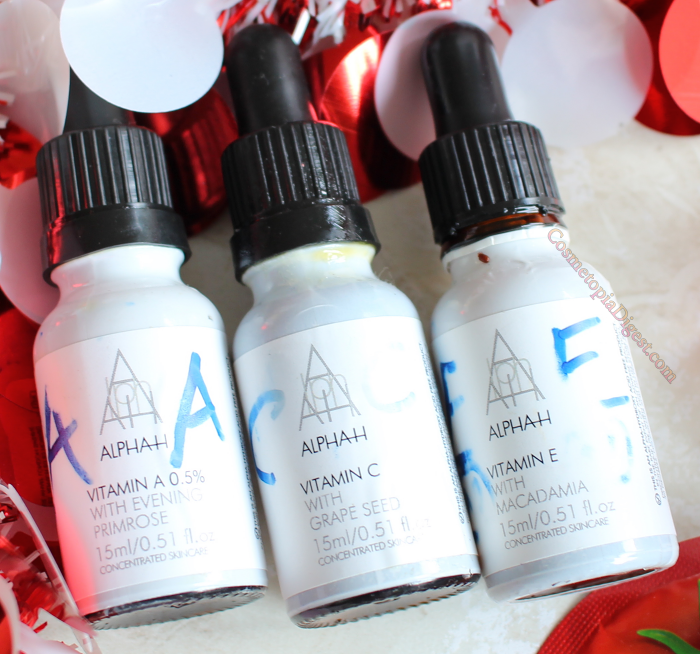 If you want to introduce some good nourishment for the skin - Vit A is a basic "retinol", Vit C tackles uneven skin tone, and Vit E hydrates - this is a great place to start. It serves as a good stepping stone for your skin to get used to the actives, before you move on to stronger stuff. Repurchase? I've repurchased the Vit C, which is 20%. I may not buy the other two - NOT because I didn't love the other two, but because I've moved from 0.5% Vit A to 2% retinol. A beautiful creamy clay cleanser I reach for in the mornings, and sometimes, as a second cleanse. I agree that Tata Harper Purifying Cleanser is amazing, but the price of REN makes it a better option for daily use. This is a fabulous choice if you are breakout-prone. It is super-gentle and kind to the skin, but does a great job unclogging pores. My only gripe is the awful pump. I cannot get every bit of product out of the bottle no matter what, and there's no way of opening the pump - see the wasted product in the photograph further below. Repurchase? I already have four of these. Not as runny as a regular toner, this was more of a viscous essence, and that is how I used it - after a cleanser, an acid, and a toning mist. You don't need cotton pads for regular essences, as you do with this one. I don't think this one hydrated me for a hundred hours, but it was a nice emollient to layer above an emulsion. There was barely enough to cover my forearm. I used it up while travelling last month, and have no idea if I liked it or not. There should be a minimum of 30ml in body cream/lotion/butter samples! This one has been hanging about my stash for ages, so I "made" myself use it up. Who else dislikes jar/pot packaging for lip balms? I always end up getting product beneath my nails. I have no idea if I prefer the Black version above the regular AIO. Both work wonderfully and are part and parcel of my daily routine. Repurchase? Of course! This one or the regular AIO. Probably my fourth or fifth bottle. Super-hydrating. No breakouts. I love how it blurs my subcision scars faster. The best dang acid pads on the market, along with Cane & Austin 20% Miracle Pads. I've tried more than a dozen brands so far. Repurchase? Already have two jars. More innovative masks from Korea. These are fun to use. You dissolve the fizzy lot into a basin of warm water, dunk your head, emerge, and then pat the liquid in. I did the patting-in for a long while, and did not rinse off. My face was brighter and softer for my pains. Repurchase? I have more of these. What did you use up in March 2017? 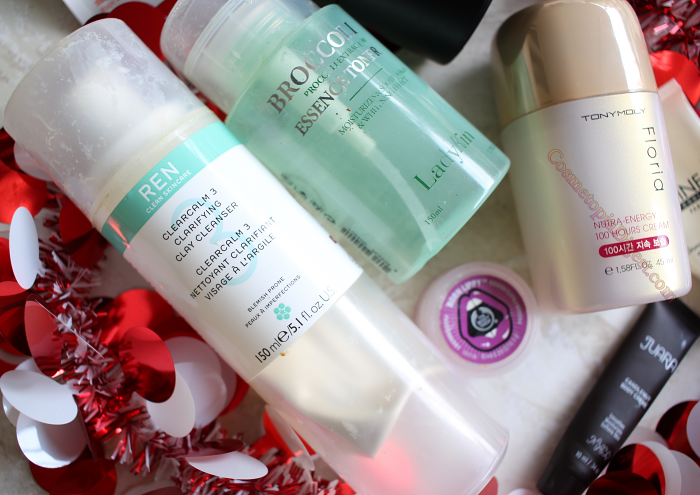 Do tell me if you've tried any of these products and loved/hated them!